Many women in Munich were active in the resistance against the Nazis, but hardly anyone knows their names today. Traditional gender roles are partly to blame. MUNICH — Centa Herker-Beimler never let anyone intimidate her. As a communist in Munich during the 1920s, at age 17 she had already clashed with the Nazis. In the spring of 1933, when she was 24, she handed out leaflets against the regime. It was an illegal activity for which the Nazis locked her up for almost four years, first in Stadelheim, then in the Moringen concentration camp, until her husband, Communist Party official Hans Beimler, fell in Spain fighting against Franco. The widow remained on the Gestapo's watchlist. After Georg Elser's failed assassination of Hitler in 1939, she was imprisoned for four weeks. Nevertheless, she returned to the resistance a little later. In 1941, after the invasion of the Soviet Union, Herker-Beimler decided to go back to the resistance. The communists in Munich avoided her because they did not want to be targeted by the Gestapo; so she went to Augsburg to meet new contacts and build an anti-fascist group. She did not succeed, as the Nazis detained her for another seven months until her employer got her released. In 1943 she decided to help forced laborers in coal mines in Penzberg. After the war, she fell silent. She did not talk much about the fight against the Nazis until much later. Centa Herker-Beimler is one of many women who resisted Nazism in Munich, but hardly anyone knows her name today. There were women like Lotte Branz who smuggled persecuted people abroad and brought back manuscripts by members of the Social Democratic Party (SPD) in exile, or women like Paula Frieb, who hid opponents of the regime and sent weapons and news from foreign radio stations to those fighting in the resistance. There were women like Margot Linsert who copied and distributed leaflets and in whose grocery store in Laim members of the International Socialist Combat League would meet. And there were those like Marie-Luise Schultze-Jahn, who tried to continue the work of the "White Rose" student resistance movement, after the founders of the group were executed in 1943. 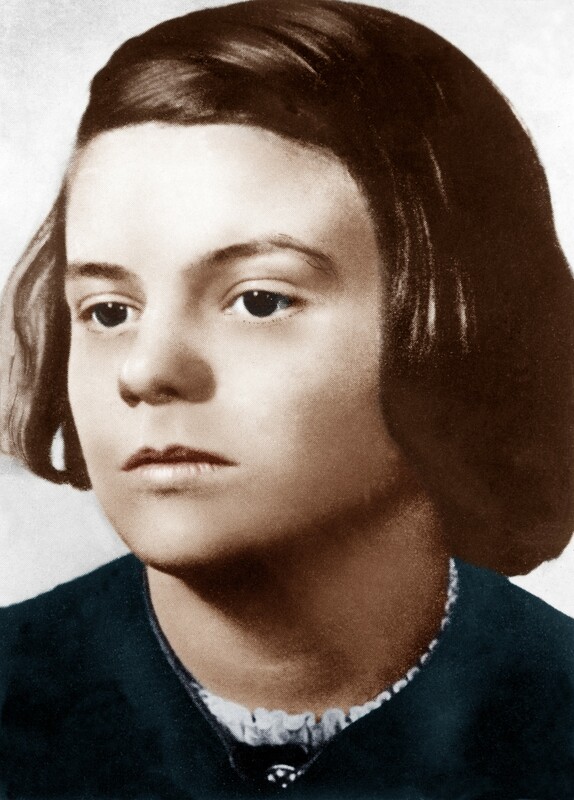 The list could go on for pages, but apart from Sophie Scholl, who is still known as the face of the "White Rose", the women who fought Hitler are largely forgotten today. Women were just as active as men in the resistance against the Nazi regime. Women were rarely assassins, and they were not in a position to stage a plot, like the officers who conspired to kill Hitler on July 20, 1944. However, armed action "plays a negligible role anyway" in the history of the German resistance, says Jürgen Zarusky, historian at the Institute of Contemporary History in Munich. Starting in 1933, the Nazis successfully destroyed all leftist organizations. In most cases, resistance meant distributing propaganda — and women, as well as men, took part in it. There are several reasons why women have been left behind in memory, says Barbara Distel, the former head of the Dachau concentration camp memorial site. She has personally met several women from the resistance. Over the years, most of the public's interest was aimed at the July 20 plot and the "White Rose" movement, because few noticeable acts of resistance seemingly took place after those. It was only thanks to the women's movement that the women members of the resistance came back into focus. On top of that, the number of women in the resistance was relatively low overall, says Distel. There are no reliable statistics for the German Reich in general nor specifically for Munich, says Jürgen Zarusky. But by looking at the Nazi trials for "preparation for high treason", the quota of women in the resistance was less than ten percent. In addition, according to Zarusky, women were often politically left-wing — so they did not fit into the West German culture of remembrance. Although the resistance carried out by the workers' movement was discussed in the 1970s and 1980s, it was never really recognized. It is quite revealing, for example, to see who appears on the resistance monument that the Bavarian government unveiled in 1996. The "White Rose" is mentioned on the black stone, as well as the group of officers who worked on the July 20th plot. There is also the name of a farmer who was executed for listening to enemy stations. Representatives from the workers' movement were left out — despite protests — and the names of many women within that. Women resistance fighters were confined to traditional gender roles. In addition, the women from the resistance were not necessarily feminists. It was not the Nazi misogynous approach that drove them to the opposition. Women resistance fighters, like other women, were confined to traditional gender roles at that time, says Barbara Distel. So, just as they bravely fought until 1945, most of them quietly withdrew to their private lives when the war ended. In some cases, women benefited from traditional gender roles: the Nazis appeared to take women less seriously. Judges did not want to condemn women to death, Thistle says. Historians have collected examples in which the Gestapo and judges treated women more leniently because they lacked political awareness. Margot Linsert, for instance, in whose shop the International Socialist Combat League met, was let go in 1938 by the Gestapo who said she was an ignorant mother, says Zarusky. But her husband was arrested with the same charges. The gender roles survived the war. Even a woman like Lina Haag, who personally asked Heinrich Himmler to free her husband Alfred from the concentration camp and published her story in a book after the war, ended up retreating from public life when her husband returned from captivity in 1948. For decades, many women did not talk about what they had done. Even Centa Herker-Beimler was reserved, remembers Distel. The woman who was not intimidated by the Nazis had been completely dominated by her husband: the two were not yet married when she started taking care of the children from his first marriage, gave up her job in Hamburg and moved back to Munich. She also retreated to private life after the war: she organized sewing parlors and cared for the sick. She was involved in bringing together people persecuted by the Nazi regime — but, as Distel recalls, she did not act as spokesperson. Instead, she stayed on the sidelines and took care of the bookkeeping.